The Tom Dixon studio is at the very heart of everything we do. 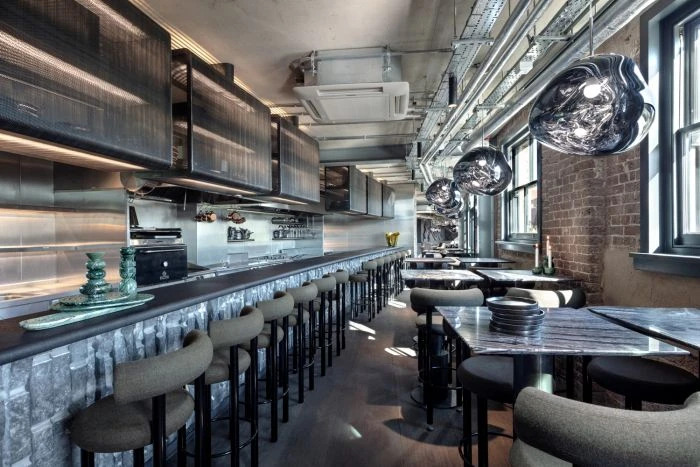 A restaurant collaboration between acclaimed chef Assaf Granit and Tom Dixon. Over the years our New York hub has evolved from local office to three-story showroom, with each move – a new and bigger identity. In 2018 New York becomes a true epicentre for design one of three headquarters spanning three continents.